The Deeper Smart Sonar 3.0 puts a new spin on traditional fixed fish finders. Now anglers fishing from shore, hard to reach spots or small watercraft have the technology of a powerful portable fish finder at their fingertips. Studying underwater structure and learning about habitat and environment is just a castaway. The Deeper Smart Sonar 3.0 pairs with most Android and IOS devices, is easy to use, lightweight, portable, effective, reliable and budget friendly. Anglers of all ages are going to love the amazing technology packed into this small device. The Smart Sonar 3.0 is designed to be lightweight and portable. It will fit into almost any tackle box to be easily transported or can be attached via the neoprene carrying pouch right to an angler’s belt or clothing. It weighs only 3.5oz (100 grams) and measures just 2.5” diameter. Since the product is so light it can be cast from almost any rod without being too heavy. The Deeper App is well designed and has some pretty amazing features that amateur and professional anglers alike are going to find useful. The app has a fish activity and solar forecast calendar, camera, fishing notes, day and night screen modes, social media sharing capabilities, weather and offline maps. What really sets the app and the Smart Sonar 3.0 apart from other devices in a similar price range is the ability to create bathymetric maps that can be saved and viewed later. The Smart Sonar 3.0 employs a dual frequency sonar that is generally quite reliable. It measures depth from 2 feet all the way up to 130 feet. The narrow beam (290kHz at 15 degrees) his used for higher accuracy scans of bottom, structure and fish. The wide beam (90kHz at 55 degrees) provides a broader area scan. Taking advantage of the sonar technology is easy. Simply cast the device out and reel it back slowly. The sonar sends a real time image right to the users phone or tablet. Castable or portable fish finders are a unique brand of technology in that their lightweight and portability make it easy to take almost anywhere and use in many different ways. The Smart Sonar 3.0 can be cast from shore, docks, piers or harder to reach places like sharper banks. It can also be used from smaller crafts like kayaks, canoes or even small boats. Anglers can purchase the Deeper Flexible Arm Mount to fasten the Smart Sonar 3.0 right to their boat, making it easy to paddle. The Smart Sonar 3.0 can be used in both fresh and salt water. It’s also a great option for ice fishing. The rechargeable lithium polymer battery in the Smart Sonar 3.0 lasts up to six hours and can be fully recharged, usually within two hours. It comes with a variety of chargers and charging cable right in the box. The device also has an ingenious feature that lets the user pause the battery when it’s not needed. The Smart Sonar 3.0 shuts off almost as soon as it’s removed from the water, also saving on battery life. For all those who previously thought that amazing fish finding technology was limited to fixed mounts and large boats, the Deeper Smart Sonar 3.0 is a revolutionary product. Anglers onshore, ice fishing or in smaller crafts, are going to love the innovative technology that the Smart Sonar 3.0 employs. The Smart Sonar 3.0 takes the guessing out of understanding underwater structure, environment and finding fish from all those hard to reach places and uncharted waters. The Smart Sonar 3.0, like most other portable fish finders, is extremely versatile. It can be used from shore, docks, piers, banks, kayaks, canoes or even small boats. It is effective both in saltwater or freshwater. It can be used in both cold and warm water temperatures. The Smart Sonar 3.0 is incredible small and light so casting it from a lightweight rod isn’t going to be an issue. It can be fixed right to a boat or craft using a Flexible Arm Mount. The Smart Sonar 3.0 pairs wirelessly with most Android or IOS devices through the Deeper App, turning a user’s phone or tablet into a fully functioning, color screen. The Smart Sonar 3.0 connects using Bluetooth, which some users have found spotty. Though the connectivity range is advertised as having a 130 foot range, some users have reported having to be much closer than that to stay connected. While the Smart Sonar 3.0 doesn’t require the user to have data or even a cellphone connection, if a user finds it hard to connect or that the signal is lost often, they might want to upgrade to the Deeper PRO+ which uses a WiFi connection or another product which employs WiFi like the Vexilar SonarPhone SP100. Most users find that the Deeper app is well designed and easy to use. It includes many amazing features including calendars, online sharing, offline maps, and the ability to create bathymetric mapping. Most users find that the real time, full color images on the screen are quite amazing given the budget price point of the Smart Sonar 3.0. The sonar is also generally very reliable. Compared to other similar products, also with well-designed apps, the Deeper app offers the same or better features. Many users also find the screen display easier to understand and read than in similar products like the Reel Sonar iBobber. Most anglers are going to find that the Smart Sonar 3.0 is a well-rounded product, especially considering the price point. It’s generally quite affordable so anglers of all ages with all different budgets will still be able to take advantage of the amazing technology. The app offers many useful features including the ability to create bathymetric maps and save that data for later. The dual frequency sonar is generally very reliable and can be used to scan down to 130 feet. The main drawback with the Smart Sonar 3.0 seems to be the connectivity issues with the Bluetooth connection. Deeper also offers a higher priced product (the Pro+) which operates on WIFI, which might fix some of those issues but it does cost double or sometimes triple the price. A small section of users have reported that the product, because it needs to be opened to be charged, is subject to being water damaged. The technology and design aren’t fail proof but letting the product dry fully before charging and making sure it’s properly put back together might help prevent any damage. Pairs with most IOS and Android devices, making the screen the user’s choice. A host of aftermarket devices like anti-glare screens, armbands and waterproof cases exist to enhance viewing options. Wireless connectivity using Bluetooth with up to 130 foot range. No cell data or cell reception needed. Dual frequency sonar with wide and narrow beams measure depth from 2 feet to 130 feet. Ultralight and highly portable. Will fit into most tackle boxes or can be easily worn. Easily castable from even small rods. Wide range of uses from anything to shore fishing, docks, piers, banks or small water craft. Can be used for ice fishing and is effective both in saltwater and freshwater. Longer lasting battery life provides up to six hours of use. Has a relatively quick charging time at 2 hours. Robust and well-designed app packed with great features including the ability to create bathymetric maps. Relatively low starting price point so it’s affordable for almost all anglers. Easy to use. As simple as downloading the app, pairing the Bluetooth connection, casting out and reeling in slowly. Some users experience connectivity issues with Bluetooth. Either the device won’t connect or drops the connection and has to be restarted multiple times. It can be frustrating and time consuming having to keep turning Bluetooth on and off on the phone or tablet, trying to connect. 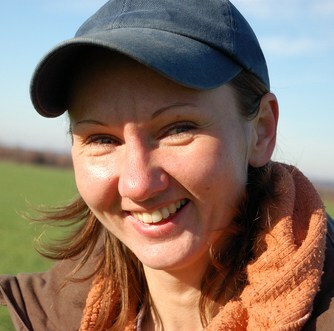 While the advertised range is 130 feet, many users have found they have to be much closer than that to keep the connection. Waterproof issues. Some users have reported that their product has been water damaged because they have to take it apart to charge it. Making sure the unit is dry before charging and being sure it’s properly put back together might prevent water damage. If users don’t have an Android or IOS phone or don’t want to use advanced technology they can’t use the Fishfinder 3.0 and will have to purchase an additional device to use as a screen. Many users who find that the Smart Sonar 3.0 has a problematic connection might want to upgrade to Deeper’s latest high-end model, the Deeper Smart Sonar PRO+. The PRO+ basically does everything the Smart Sonar 3.0 does but offers a WIFI connection, which is generally more stable. The PRO+ also has integrated GPS which is an amazing tool for mapping. If users want better mapping capabilities and a stronger connection, they might find the PRO+ fits the bill. See our Deeper Smart Sonar PRO+ Review. The Reel Sonar iBobber has a comparable price point to the Deeper Smart Sonar 3.0 but many users seem to prefer Deeper’s product in user reviews. They both run on a Bluetooth connection. The Smart Sonar 3.0 generally has a more reliable sonar and many users find that the way the screen displays information is easier to read or more appealing on the Smart Sonar 3.0. The ability to create and save maps and other data for later is also a huge advantage that the Smart Sonar 3.0 has over the iBobber. It might not be immediately obvious why the Hawkeye FT1PXC Fishtrax Fish Finder is a comparable product since it looks quite different than most portable fish finders and uses its own screen. Some users are going to find this technology outdated or criticize the dot matrix screen. Others who don’t have an IOS or Android device or who really aren’t comfortable using that technology are going to love the Fishtrax. The unit employs many of the same features, can be used from shore or on a small water craft and is versatile in that it can also be used for ice fishing. The dual sonar is quite powerful and has the ability to scan down up to 240 feet. It also comes with a whole host of useful features. It has a comparable price point to most castable fish finders that pair with a smartphone or tablet. Ultimately it just comes down to what the user wants for their screen or what kind of technology they already have. The Vexilar SonarPhone SP100 has a comparable price point to the Fishfinder 3.0. Some users prefer the WiFi connection of the SP100 over the sometimes spotty Bluetooth connection of the Fishfinder 3.0 but users have reported connectivity issues with both products. On some reviews, users have found that the Fishfinder 3.0 has a more accurate sonar and the way the information is presented on the screen is easy to read than the SP100. Also the app aesthetics overall just don’t seem to measure up to the standards of the Deeper unit. 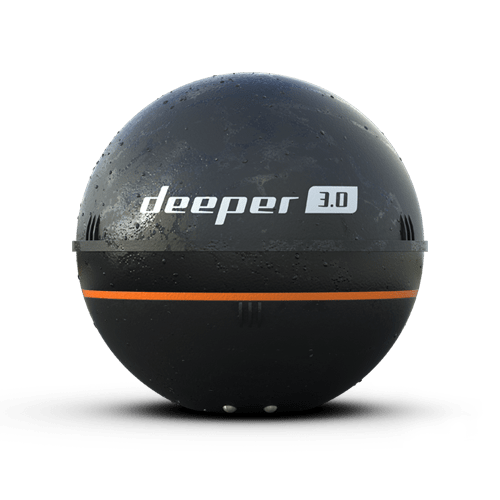 The Deeper Smart Sonar 3.0 is generally an all-around great piece of technology, especially considering the relatively low price tag. Anglers of all ages and skill levels can take advantage of the many useful features in the app. It holds a distinct advantage over some other castable fish finders in its class considering it has the ability to create bathymetric maps. Many users prefer the graphics displayed on the screen and the ability to read structure and bottom features in real time. The Fishfinder is a highly versatile product and is ultra-portable. The dual sonar is quite reliable, demystifying the underwater world so anglers have a better chance of finding and catching fish. The only real issue the Fishfinder 3.0 has is that the Bluetooth connectivity can sometimes be spotty or hard to connect to. Some users have found that other products with a WIFI connection perform more consistently, though not always. We are proud to give the Deeper Smart Sonar 3.0 a B+ rating.